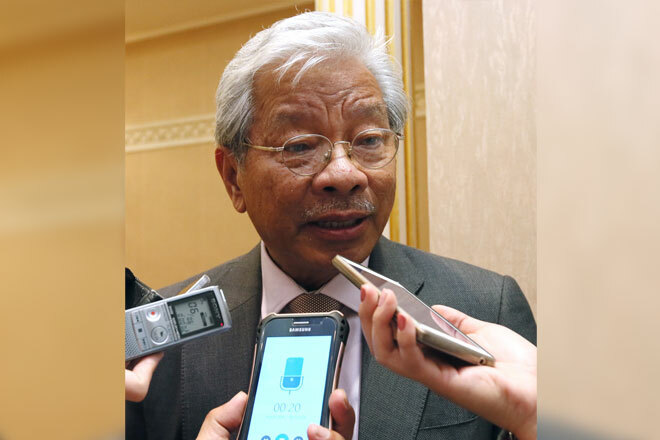 KUCHING: People’s elected representatives must not lie on the authenticity of their academic degrees as it involves their level of integrity, said Deputy Chief Minister Tan Sri Dr James Masing. “As lying involves personal conscience then the liar must decide to resign and not up to the Prime Minister to decide for him or her,” Masing added. He was responding to Youth and Sports Minister Syed Saddiq Syed Abdul Rahman’s statement that any attempt to falsify academic qualifications is an “immoral act” which should be rejected. However, Syed Saddiq stressed that Prime Minister Tun Dr Mahathir Mohamad has the right to decide on the matter, which was triggered by questions surrounding Deputy Foreign Minister Datuk Marzuki Yahya’s dubious academic qualifications. “My personal stand is that it doesn’t matter which party is involved. Any attempt to falsify a degree or a diploma is an immoral act,” he told reporters during a press conference in Semenyih recently. Masing who is Parti Rakyat Sarawak (PRS) president, said he was disturbed by news of elected representatives (YBs) holding fake degrees. “The current news on fake degree, is serious a matter especially if it concerns YBs. If he or she lies on this matter, how do we know he or she doesn’t or will not lie again in the future,” he said. “A question of resignation doesn’t lie with the Prime Minister. It is a matter of personal integrity and conscience. If your conscience and integrity is involved and under threat, you make the decision. Not the Prime Minister to decide on your behalf,” Masing stressed.